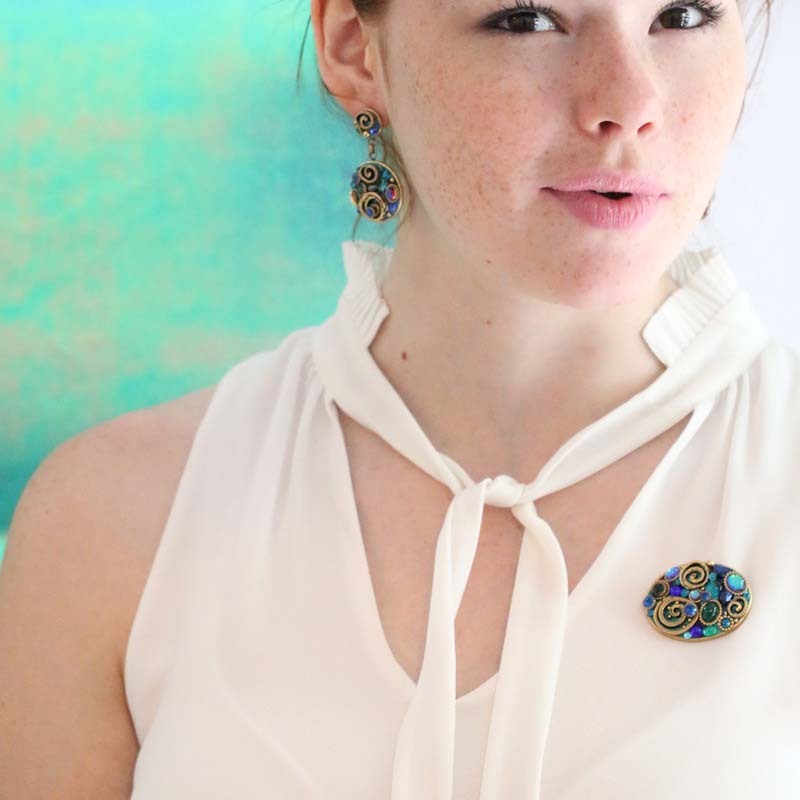 This multi-use pin can also be worn as a pendant. 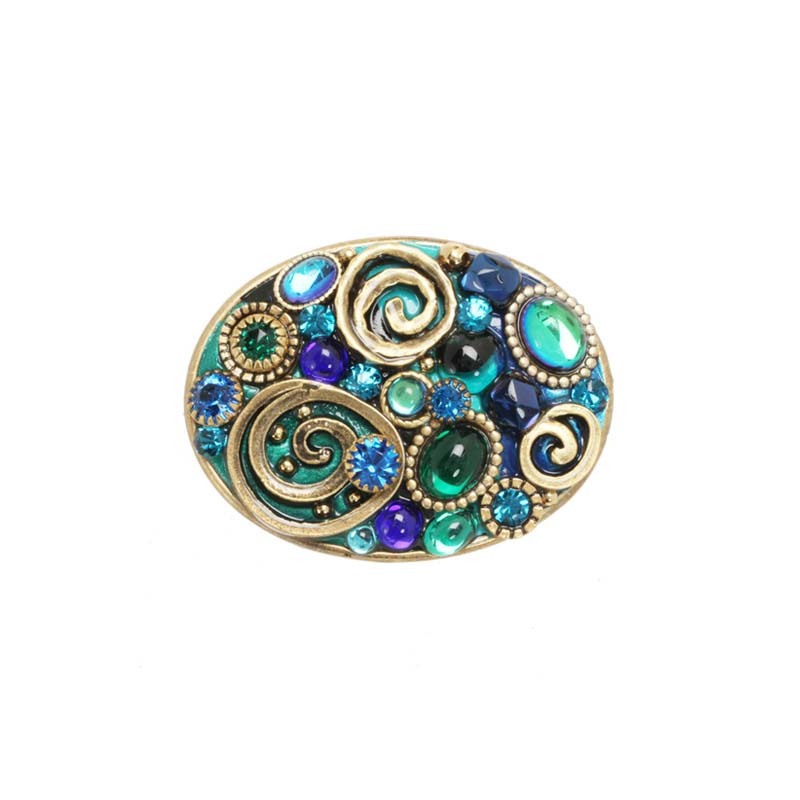 Deep blue, turquoise, and sea green enamel form the background for an array of glass cabochons and gems. An original addition to any blouse.